Finally back with an outfit post. 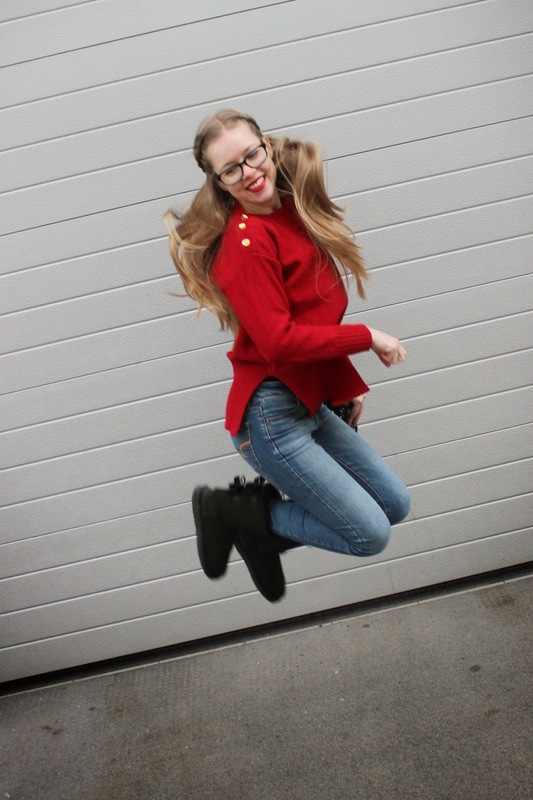 Since winter is insisting on staying, I went for another cozy outfit wearing a bright red pullover. Told you I would wear colour again! It's been a busy period with Uni, so I haven't been able to post as often as I would like, but hopefully soon you'll get to see more outfit posts.